Today’s Facility Managers rely on sophisticated electronic technologies and the people behind them to keep their associates/tenants comfortable, while saving energy dollars for the building owner. You know how important a job this is and the ramifications of an HVAC servicing contractor who lacks the training and expertise to service your buildings control system. Cooper Oates Air Conditioning’s control technicians understand today’s sophisticated Automated Building Control systems. Even if your building is still controlled by a pneumatic control systems, we are one of the few remaining control servicers with first rate pneumatic control capabilities. 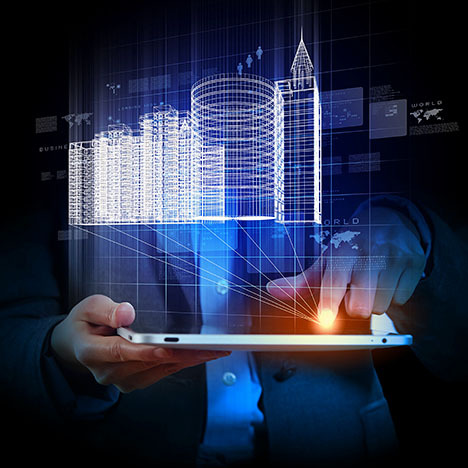 Everyone knows their Automated Building Control system is responsible for providing a safe and comfortable environment for the building occupants, but were you aware that it’s proper operation is key to having an energy efficient building as well? With so much riding on the proper functioning of your controls, does it make sense to allow someone whose credentials you are unsure of service this critical component? Utilizing no network cabling and just the existing thermostat wires to each rooftop unit and a single gateway, internet-connected thermostats automatically routes and repeats the wireless signal between each device. The system is then able to spread the wireless communication from the zone controller to every thermostat in the zones throughout a commercial building with ease. Internet apps provide control for managing multiple thermostats, schedules and access to historical temperature and usage data. The thermostats also continuously monitors the health of the HVAC systems and sends immediate maintenance alerts at the first sign of a problem. Contact COAC’s John McAlpine at 916.381.4611 to see advanced thermostats can give you the control over your HVAC system at a very affordable price.